The RX series from Lexus...one of the first crossovers with an emphasis on luxury. 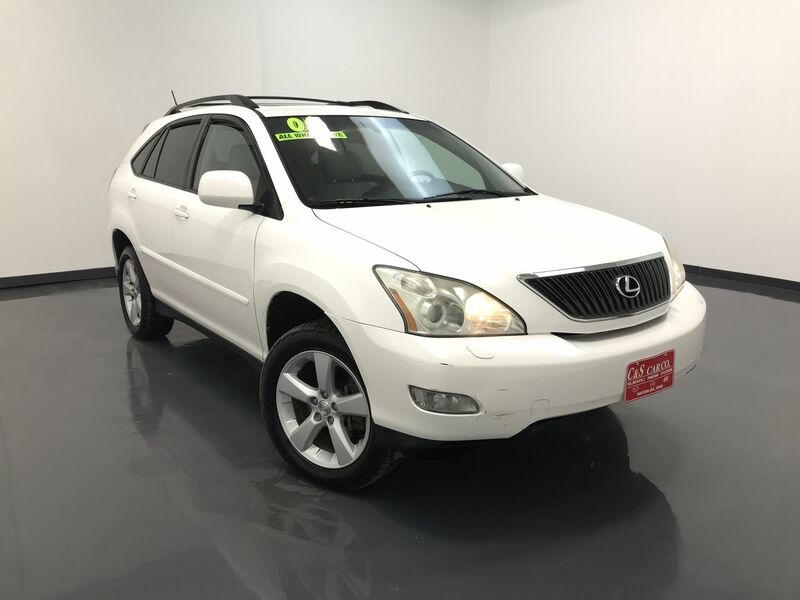 This 2004 Lexus RX330 has a leather interior with heated and power assisted front seats, a 2 person memory for the driver's seating position, keyless entry, dual climate controls, a sunroof, wood grain interior accents, a power tilt and telescopic steering wheel, a power rear lift gate, a luggage compartment cover, and an aftermarket Pioneer AM/FM/CD sound system with Bluetooth connectivity. The exterior highlights include 18" alloy wheels with B.F. Goodrich tires, fog lights, and a roof rack with cross rails. Call C & S Car toll free at 866-212-8718 or locally at 319-291-7321.